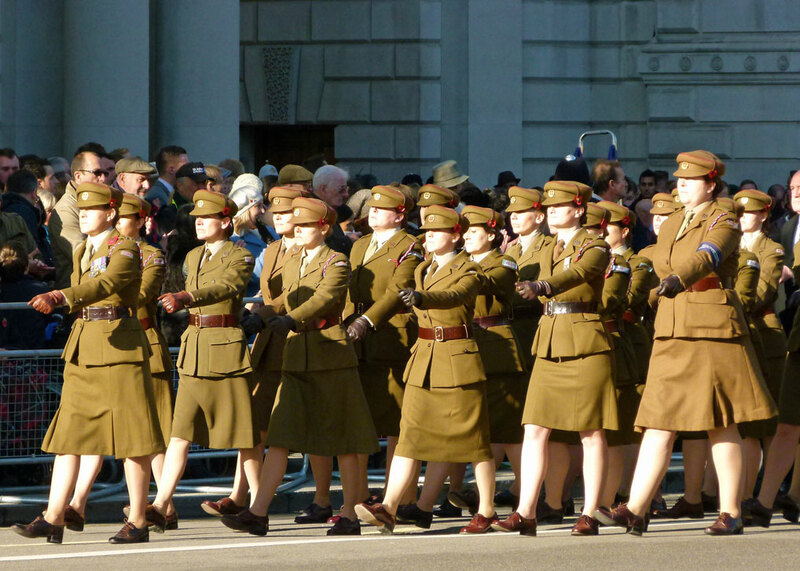 Amazing; moving; humbling; impressive: words you could choose to describe the annual National Service of Remembrance held in London on Remembrance Sunday, the second Sunday in November. Thousands attend every year; thousands watch it on TV; thousands more attend similar, albeit slightly more modest, services throughout the United Kingdom – and beyond. It is an occasion for everyone to remember and reflect upon those servicemen and women who have died and suffered in the service of their country. 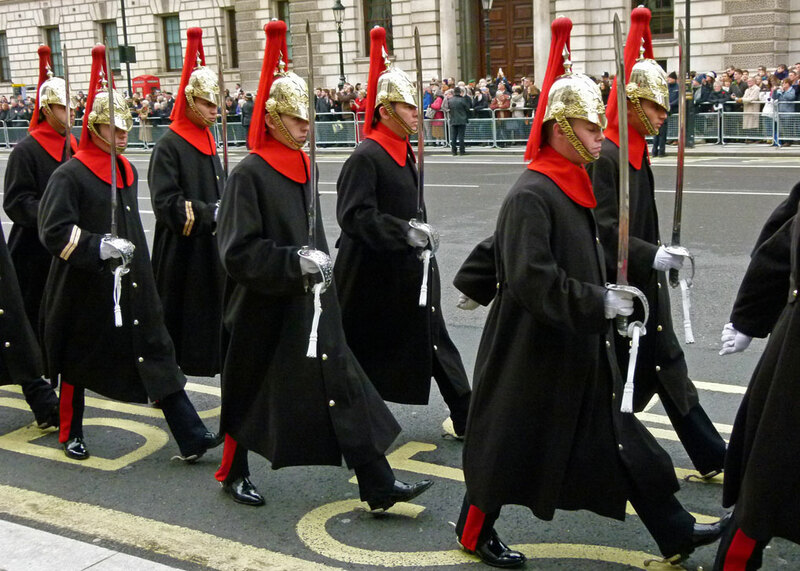 The National Service that takes place in London’s Whitehall is part of Britain’s calendar. It follows a similar pattern each year, runs like a well-maintained, efficient, machine and gives a unique insight to aspects of the Nation’s past and present. The service in 2014 held particular poignancy, since it marked the centenary of the start of the First World War, 70 years since the D-Day Landings in Normandy during the Second World War, 25 years since the Fall of the Berlin Wall and the year that British forces were withdrawn from Afghanistan. Sunday 9th November 2014 was one of those days that seemed freshly washed. Torrential rain the previous evening had sent people scurrying for shelter in shop doorways and subways. It put a literal dampener on the firework display on the Thames marking the end of the 799th Lord Mayor’s Show. However, Sunday dawned fresh, lightly overcast, but with pale blue patches and the promise of later sun. Eight o’clock found us clambering out of Westminster tube station, by which time a queue was already snaking along Bridge Street and round the corner down Embankment. Presumably, it was a similar story on the opposite side of Parliament Street, and also at the other end of Whitehall, where the veterans were forming up. People went on foraging errands to fetch coffee; some, like us, clutched food. We’d bought sandwiches the night before in anticipation of limited time and having to breakfast during a long roadside wait outside government offices. Even before the arrests of suspected Islamic terrorists in London and High Wycombe the week before, security had been forecast to be at the highest level since 9/11. We wondered, indeed, whether the date – the 9th day of the eleventh month – together with the temptation of the target – might provide some kind of incentive for a terrorist group. Clearly, and predictably, any perceived risk had not put people off coming to pay their respects. It is a sickening reality that there is any risk at all. However, the small fraction of the security operation we witnessed was extremely efficient and reassuringly thorough: police officers stood at regular intervals along the queue; others, in more casual uniform dress wearing soft caps, walked up and down, looking into people’s souls. Bridge Street was closed with concrete barriers. Men and women with coiled wires hanging out of their ears seemingly talked into their lapels. A helicopter droned incessantly overhead. Occasionally, we caught glimpses of figures on rooftops. The line shuffled forward and divided to go through a bag search and body scan, like at an airport. The contents of pockets – and breakfast bags – were deposited in plastic trays. “Mmm,” grinned a friendly copper looking at my M&S deli pastrami sandwich, “Quality. 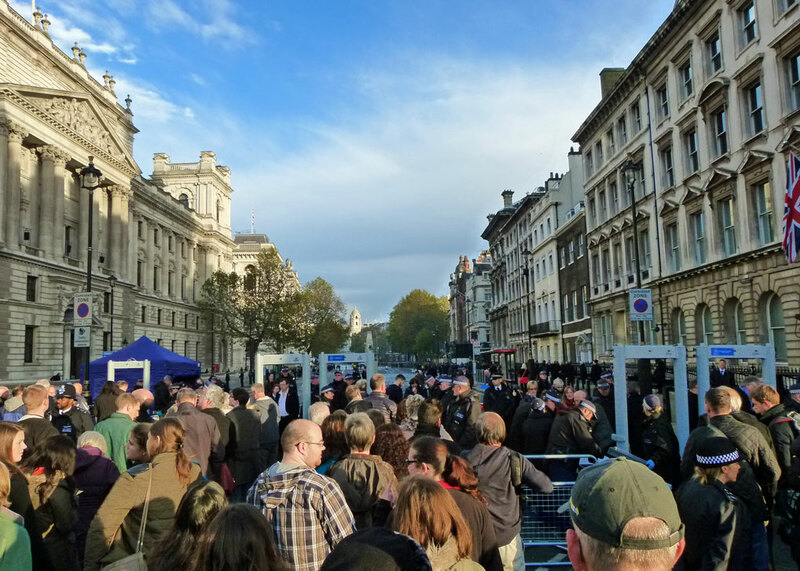 I might need to put that to one side for later.” When we found ourselves a place at the barriers alongside Whitehall, further police were stationed a few paces apart, facing into the rapidly growing crowd. They intentionally engaged us in affable banter, looking for something out of place. I have witnessed poor police behaviour in my life: but this was policing at its very best and I’m extremely glad it was there. 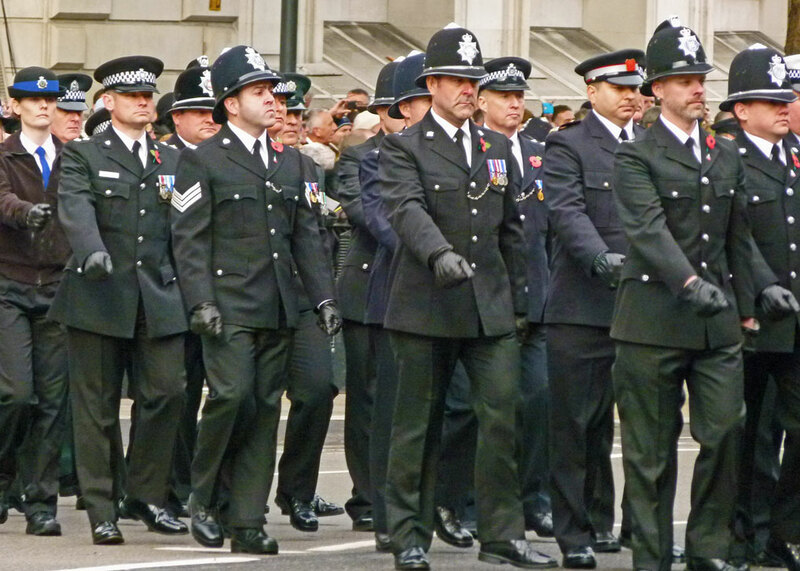 All of those on duty – which I’m guessing included a very high proportion of the Metropolitan Police’s 31,000 officers – and whoever organised the operation, deserves the thanks of everyone who attended. So we chomped our breakfast while we waited. There is a shared comradeship at these things; we chatted amiably to our neighbours – a lady from Anglesey, a farming couple from Somerset, a young lad from Holland. Every now and again, something would happen. The BBC brought out an enormous boom on a trolley and wheeled it into the middle of the road; presumably, it was a microphone. They tested the sound – classical music boomed out through speakers mounted at first floor level. “Can you hear it OK?” an engineer asked us. 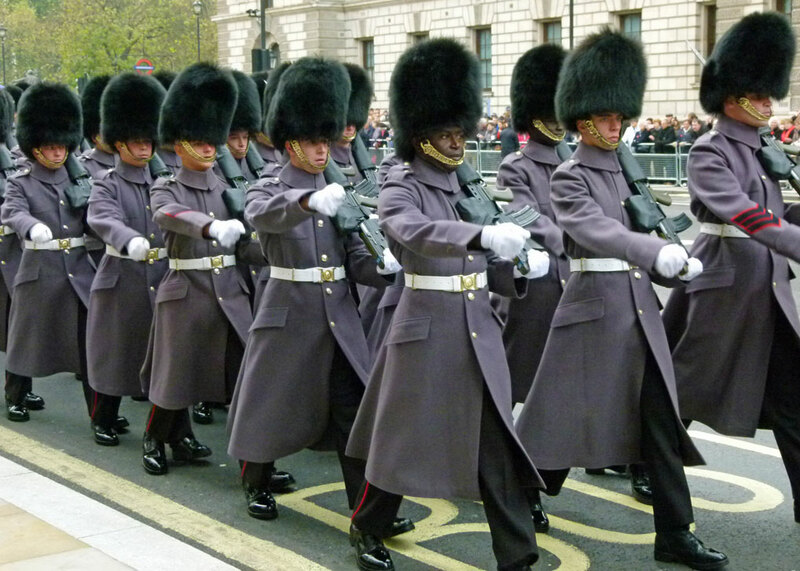 A couple of guardsmen, unfeasibly tall in their bearskin hats, wandered out of King Charles Street and debated some aspect of arrangements. A troop of RAF stretcher-bearers marched toward us and seemed about to set up camp nearby: no, an officer turned up, spoke to them, and they marched smartly away again. One of the coppers near us needed to be replaced to answer a call of nature, much to the amusement of his Sergeant, who asked us with a twinkle in his eye to avoid drinking in front of the unfortunate PC until he could be relieved (so to speak). Still, the crowds came and the helicopter circled. The crack of a field gun on Horse Guards Parade and the first chime of Big Ben marked the start of the two minutes silence. People were lost in thoughts: faces, places, letters, memories, newsreels. The end of the silence was signalled by a Royal Marine bugler playing the Last Post. Wreaths were laid at the Cenotaph: Her Majesty the Queen, the Duke of Edinburgh, Prince Charles, Prince William, the then Prime Minister, David Cameron and Deputy Prime Minister Nick Clegg (remember them? ), other members of the Cabinet and Ed Milliband, leader of the Opposition at that time. 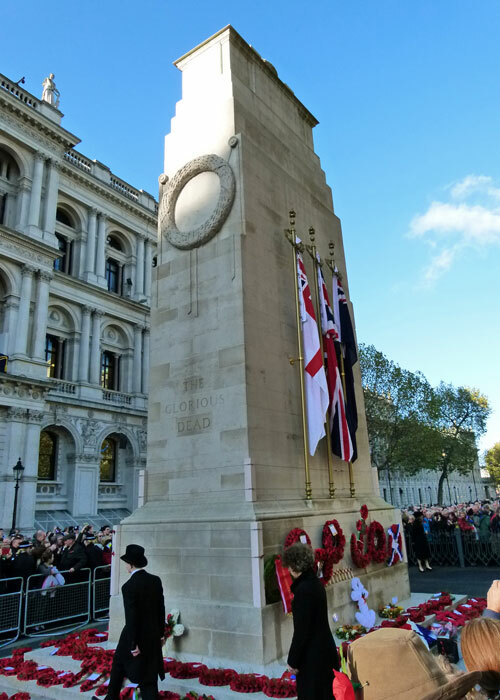 Wreaths were also laid by leaders of all Britain’s Military and Civilian Services and 46 High Commissioners representing members of the Commonwealth, most of them members of Britain’s former Empire. The service is also attended by leaders of all Britain’s main faith communities – Protestant, Catholic, Greek Orthodox, Jewish, Muslim, Hindu, Sikh and more, as well as by former prime ministers. On this occasion, Tony Blair, John Major and the now ex-Mayor of London, Boris Johnson, were all present. We would have needed to have been there much earlier to get close enough to see any of this detail; maybe next time. The Bishop of London led a short service, following which the National Anthem was played. At that point, spontaneous applause rippled through the crowd – an unprecedented display of public affection for the Queen at this event. 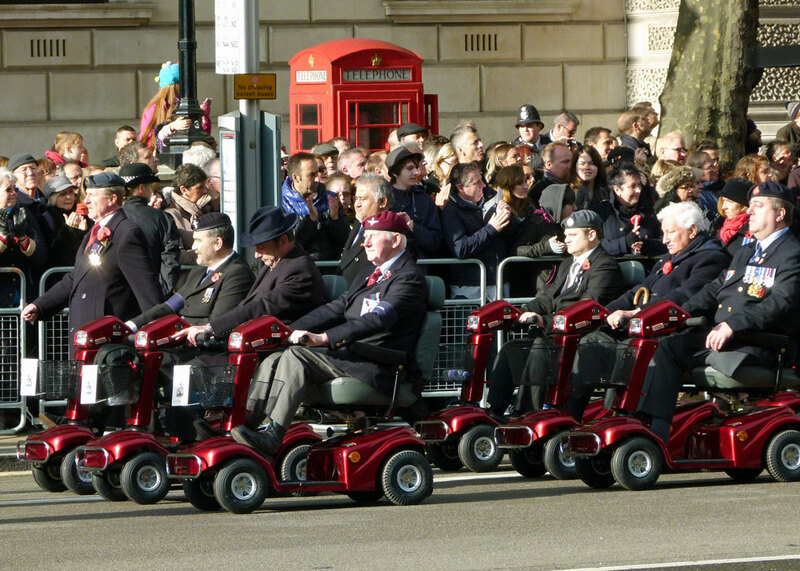 Now it was the turn of the veterans: 10,000 of them from all walks of life, from all over Britain and overseas and representing every conceivable branch of military and civilian service. 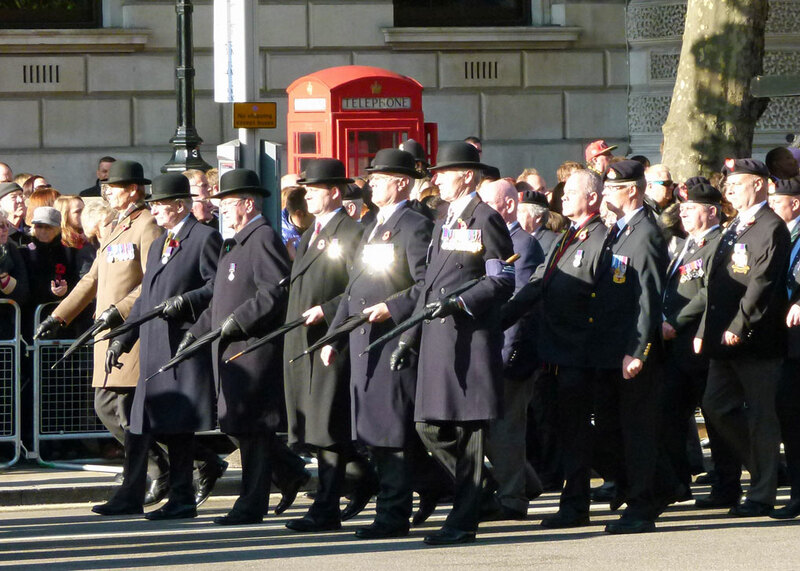 Sadly, there are no surviving veterans of the First World War anymore. But men and women who had served in the Second World War, from Dunkirk to D-Day, the Far East, Home Defence, Fighter and Bomber Command, Naval ship associations, from the Korean War and more than a hundred other conflicts since 1945 – including recent ones in Iraq and Afghanistan – all waited the long hours to commemorate their comrades’ – and their own – sacrifices. It is a sobering thought that Britain’s war dead lie in 153 different countries around the world and these men and women reflect that global experience. So, mostly, they marched, proud and ramrod straight; some needed sticks; some needed chairs; some needed help. As each group passed the Cenotaph, a member of their party handed over a wreath to be laid its foot and they turned eyes left and saluted. 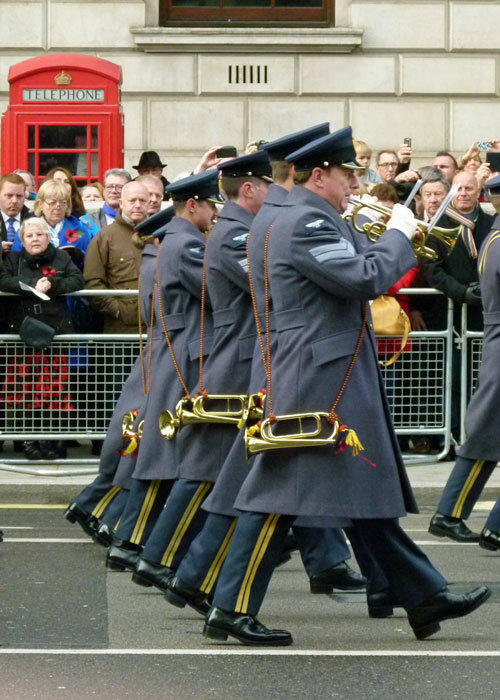 Their medals glinted in the brisk November sun, they held their formation and step – and who knows what images were in their minds. Watching, I knew that these people and their fallen comrades had been through things that I never will, and can never fully comprehend. The thought that stuck in my head was, “They gave their tomorrows for our todays” – misquoted from the poem by John Maxwell Edmonds – and I don’t mind saying that I felt my eyes moisten. Only someone with no imagination or emotion could fail to be moved by this experience. There are those who feel that all of this is somehow glorifies war and is in some way militaristic and jingoistic. They are profoundly mistaken. There is nothing triumphant about poppies or the National Service of Remembrance. 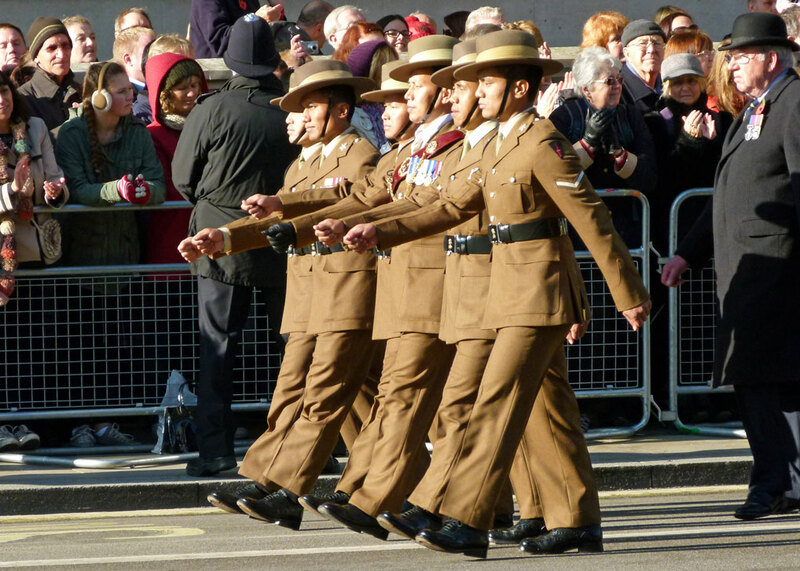 The commemorations are, inevitably, military services – and no one should apologise for that – but that does not make them militaristic. And there is a world of difference between patriotism and nationalism – the latter is generally an unpleasant belief that inevitably sets man against his brother. Some, sadly ignorant of Europe’s history and culture, believe that the act of remembrance is political: on the contrary; it crosses the boundaries of belief and origin that all too often divide us. It should be an enormous source of pride that the prospect of war between old enemies is now so remote as to be unthinkable; we need to remember that – and learn from it. Meanwhile, I like to picture the veterans dispersing with their mates to the pubs and other hostelries around Westminster, reminiscing over a few jars, toasting absent friends and having a thoroughly good time. I hope they did; they deserve it, and more. Letter written by German soldier Otto Heinebach the night before he was killed at Verdun in 1916. For a bit about the two world wars, and Britain’s part in them, see Britain in the First World War and Britain in the Second World War. You will also find articles about the events leading up to these conflicts. For more information about remembrance services, poppies and work on behalf of ex-servicemen and women, visit the website of the Royal British Legion. You must be so proud to see these units marching by!! They are so grand. Always aware and ready to have your back!! Always proud and thrilled to see our guys, though of course this occasion is rather sombre. Cool. We were in London in September 2014. I loved seeing the poppies around the Tower of London. A very moving post Mike and you managed to take some very nice pictures! Nationalism and Patriotism have nothing in common. I only wish more people, especially our youth understood the two. Unfortunately, nothing is done or even said on that day but I was very proud to hear that my 13 year old daughter did ask her history teacher if they could talk about the Armistice. A beautiful and thoughtful post, indeed. I especially appreciated your distinction between nationalism and patriotism. Thank you. Yes, some people confuse the two, don’t they?! Many of the same rites are carried out here during our Remembrance Day services, including the two minutes of silence starting out with the sound of the Peace Tower’s bells. 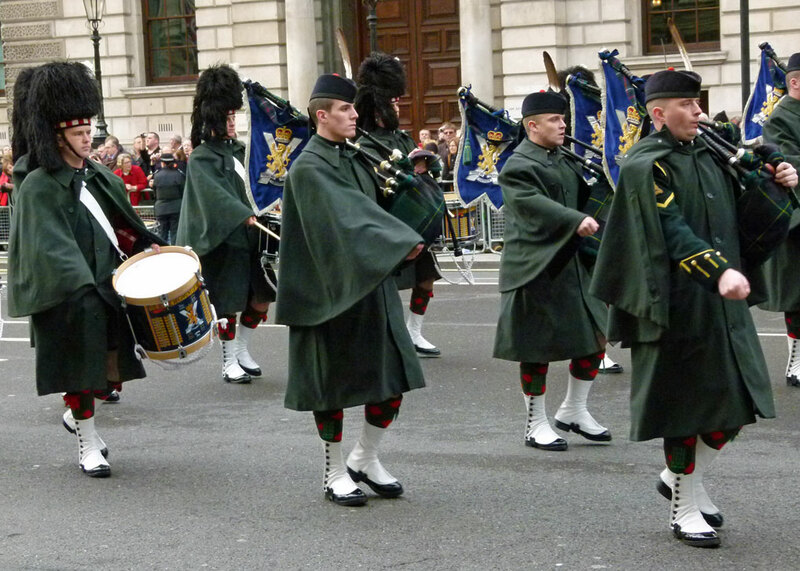 I tend to get particularly moved by the piper’s Lament, which is an old Scottish tune used for these occasions, probably used there as well. And the police are out in view as well- turns out yesterday that was a good thing here. There were high winds, and a section of plywood came flying off a scaffolding on a building overlooking the square into the crowd of onlookers. The police were able to manage things quickly and help the paramedics get on in. I love it. Such a sweet post. This is such a moving post Mike and so well researched. I love to watch the service on TV but this year will need to watch it on catch-up as it is our church’s turn to hold the benefice service this year. Please may I share your post? Of course you may, Clare – I’m flattered. I think everyone should go to this service at least once. Super post Mike, wonderful images. I sometimes feel so sad that all those brave young men died and are still dying around the world, it seems it will never end. This was a very moving post. Over here we call it Veterans Day, and it’s important to recognize veterans, but there’s no mention of World War I, the real reason for this day of remembrance, and I think many don’t know that. There are no nationally televised ceremonies of any kind. A great honoring post Mike, thank you! My grandma’s best friend was a war bride from the UK. 😉 I just loved when she was over playing cards with my grandma, she would share the story falling in love with her American GI. My grandpa also was in WWII. We have many friends in the United States Military today. A wonderful post from beginning to end. 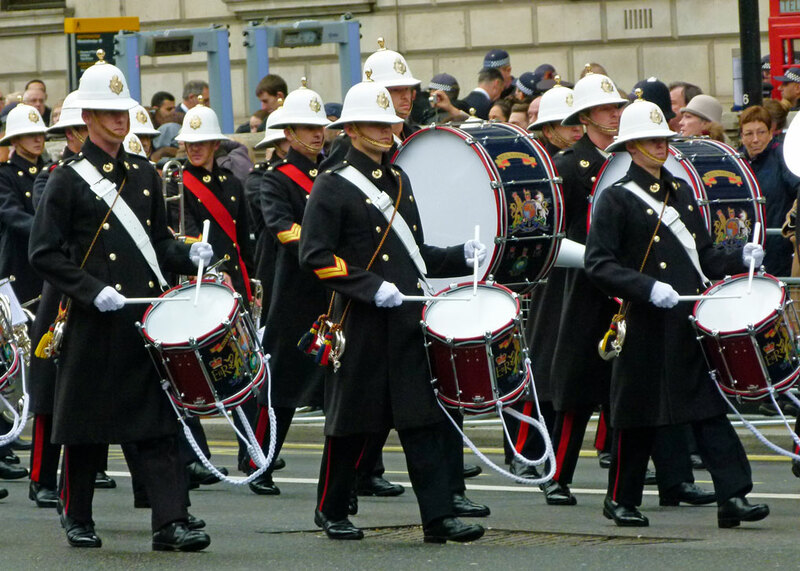 I am hoping the weather this Sunday will be kind for all those taking part in the many parades and services around the UK. Wonderful post Mike. I pause and thank all who have served on behalf of freedom. A very interesting post mike. It was pleasing to see how many people were in Trafalgar Square today to observe a minute’s silence. 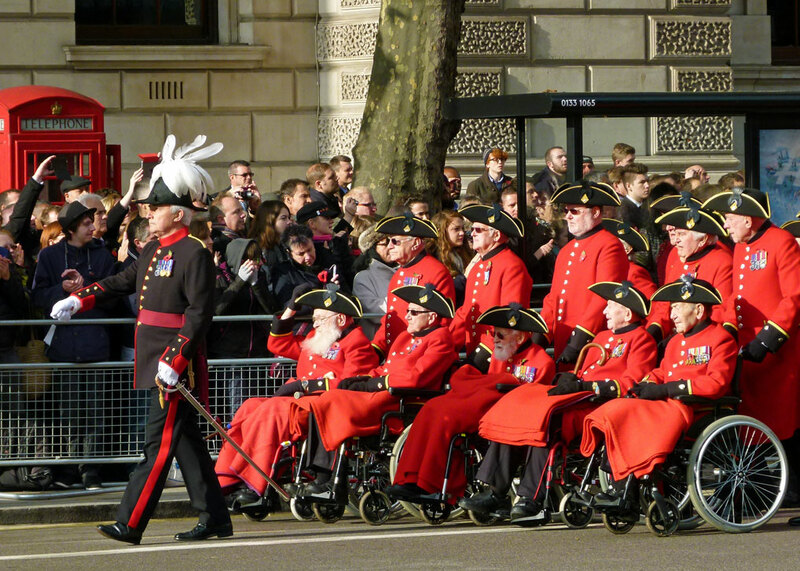 I just hope the weather is kind to the veterans on Sunday. Beautiful post! How can anyone think this glorifies war? It’s such a fitting way to honor, to keep in memory, those who served. 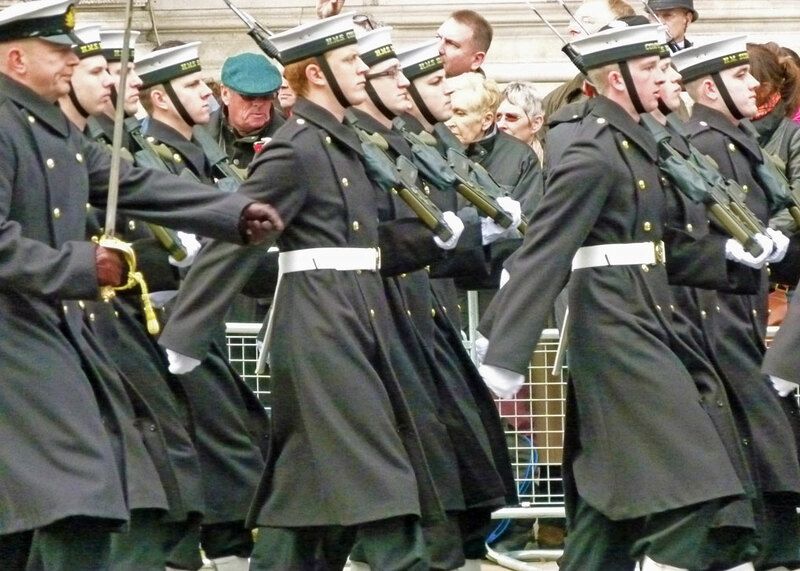 Hi Mike – what an excellent post … I’m going to re-read this on Sunday when I hope the Service at the Cenotaph will be on tv. Fantastic – way better than I have ever done … what thorough research you’ve given us, and stunning photos … it must have been so moving to have been there 100 years from the start of the War.